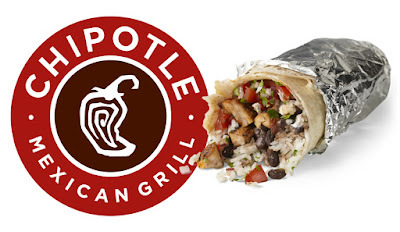 Chipotle Mexican Grill announced in late June it plans to close 55-65 units, consolidate its offices, and move its corporate headquarters from Denver to Newport Beach, CA. Within the past few days, these changes have started to take place. The company has not yet released a complete list of the restaurants slated for closure, but news out of select markets confirms at least six of the upcoming closures. The company, which entered the Atlanta market in 2003, operates 49 locations in Georgia, with location 50 expected to open next month at the new Fuqua Development project on Northside Drive and 17th Street near Atlantic Station. Another new location is expected to open soon on Jimmy Carter Boulevard in Norcross. ToNeTo Atlanta reported earlier this week that the company also plans to open a new location on Sugarloaf Parkway in Lawrenceville on the site of a former QuikTrip. Thus far, no Chipotle closures have been confirmed in metro Atlanta, or in Georgia, for that matter, but one location that is destined for a late July closure is located in Aiken, SC, just outside of Augusta. The other Chipotle restaurants that have been confirmed for late July closures are primarily in small markets - areas where perhaps Chipotle should never have opened if not for the restaurant's need for continued to growth to meet lofty investor expectations. In addition to the Aiken, SC closure, Chipotle restaurants are expected to close by the end of July in San Luis Obispo, CA, Chubbuck, ID, Twin Falls, ID, Lufkin, TX, and Waterloo, IA. A number of the confirmed closures are rather new units such as the restaurant in Twin Falls, which just opened last August, and the unit in Waterloo, which is closing just 14 months after it opened. The company is also closing five of its fast casual pizza restaurants called Pizzeria Locale. The closure of units in Cincinnati and Kansas City will leave the fledgling chain with just two locations: one in Boulder, the other in Denver. Chipotle last year closed its 15 unit ShopHouse Southeast Asian Kitchen chain, and this past February, shuttered its lone Tasty Made restaurant, a quick-serve burger eatery in Lancaster, Ohio. In March, former Taco Bell CEO Brian Niccol replaced Chipotle Mexican Grill founder Steve Ells as its CEO, and in the months since has been working to make improvements to the once unstoppable chain. Aside from the closures, the biggest news for the chain was that Niccol, a southern California resident, was relocating the Denver-born chain from its 1993 birthplace to Newport Beach. The move was made official earlier this month when Chipotle announced layoffs at its Denver and New York offices in advance of the planned October 5 start to the closure and eventual March 1, 2019 completion. Fellow fast casual operator Zoës Kitchen also announced plans this past May to close five to ten underperforming units as it looks to regain its mojo. The units, which thus far have not been publicly identified, could close as soon as year end. Starbucks also announced last month that it too would accelerate closures. In fiscal year 2019, Starbucks will shutter 150 units in "densely-penetrated markets," three times its typical annual closure rate. Do you think Chipotle will close any restaurants in metro Atlanta or in Georgia, and if so, where? What is your favorite burrito joint in metro Atlanta? Have you stopped going to Chipotle following their food borne illness scares? You can get a better burrito at just about any Mexican market that has a restaurant in it than you can at Chipotle, Moe's, Willy's, etc. To this day I still mourn the loss of Tortillas, which has led to my utter hatred for Moe's for going on 15 years, as it was them opening a location down the street that put Tortillas out of business. There are a few places that have tried to replicate Tortillas, but to me, they're not anything close. The first time I ate at one of their locations I thought it was great. However, subsequent visits to other locations have been subpar. The last one I ate at was in Tucker and it was terrible, so I would not be surprised to see that location close. They are building one in Newnan! The US is oversaturated with chain restaurants that are just blah and boring. As a long time resident near Toco Hill, I am unhappy about chain restaurants taking over the center. Just last week, I had two unsatisfactory experiences there. I walked into Chopt and walked right back out due to the blaring music inside and outside too. The new pizza place in the old laundromat offers mediocre pizza with thin, soggy crust. And they don’t accept cash!!! That alone would keep me from coming back. Why would anyone eat there when Mellow Mushroom, Shorty’s and Chris’ are so close? Chipotle is expensive and so overrated! For a long time they acted like they were Unstoppable until Mr. e-coli stopped by for a sit down visit. How does it feel now Chipotle? Mellow Mushroom is a bigger chain then the new Pizza place. That cash thing isn’t a bother because due to safety of its staff. I spent a little extra and got the specialty pizza. It was great as Tony the Tiger would say. They need to close the one in South Buckhead and open 1 or 2 in Midtown. @vespajet: I think "Bell Street Burritos" does well in its homage to "Tortillas". I take it you disagree? I tried Chipotle once - and thought their burrito was way too salty. I think it was the rice. Tasted like a month's worth of sodium wrapped up in tinfoil. And that's before the chips...which cost extra. I like Willy's. Haven't been to Moe's in years either. Moe’s is horrible. The only reason they get traffic is because they have good advertising and marketing programs. If you look closely and pay attention everything about them is absolutely horrible. Yuck. Looking forward to Bell Street in Tucker, I’d rather drive there from Brookhaven than all the way down Peachtree.